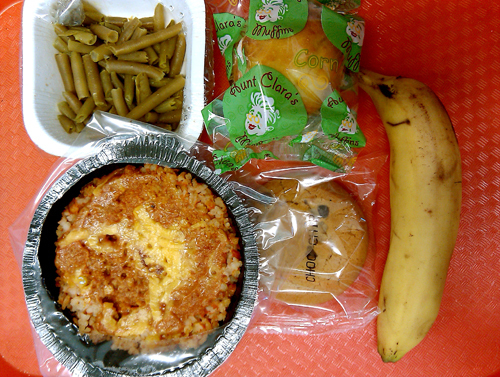 Looking through some of my old school lunch photos makes me oddly hungry! Like totally ravenous…it’s got to be the pregnancy, but I really did like that Tex-mex meal. Anyway, Chronicle Books Blog interviewed me to find out what I’ve been up to since launching the book last year as well as what parents can do as we step into back-to-school time. Feel free to click over and see what I had to say! Previous PostMrs Q’s News: Sugar, Longer Lunches Needed, and “Food Hubs”Next PostTaking questions: How do you control your kids’ TV time?